A collection of 8 short Bible studies/reflections by women serving as missionaries. Introducing the NEW LWML Outreach Bible! Don’t keep this to yourself. 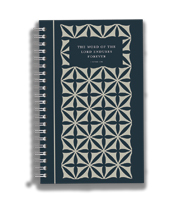 This new LWML Bible was specifically designed as an outreach Bible. Six lessons on communicating with and providing guidance for your adolescent ..